Blog Shipping Containers: The Future of Luxury Tiny Homes? Here at Tiny Homes LTD, we are huge fans of shipping containers as tiny homes. For a lot of people just getting started in the tiny home game, a shipping contain hits the perfect balance between a prebuilt structure and something that can truly become your own. That’s why we are absolutely thrilled to see Las Vegas company Alternative Living Spaces using the containerized platform as the starting point for their new premium homes. 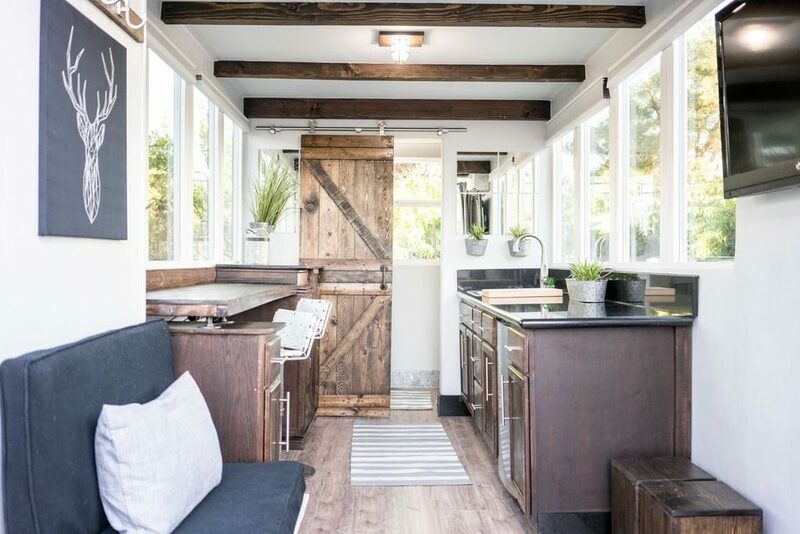 At roughly $47,000 per unit these aren’t the cheapest container homes out there, but we guarantee that they’ll put your current $400 per week rental to shame. Shipping containers are the live blood of our current global economy. Just about anything that isn’t directly made in your neighborhood has almost certainly spent some time traveling in a shipping container. 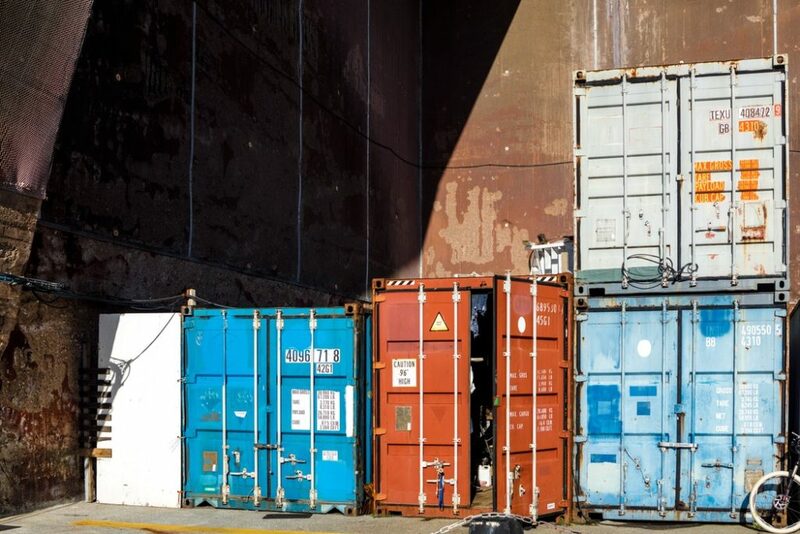 With such high demand there have been millions of containers created over the past half century and they can be found on virtually every corner of the planet. For tiny home dreamers, this means there are no shortage of options when it comes to creating a tiny house from a shipping container. They’re durable, eco-friendly, and provide a module approach to home design that can be hard to find using alternative building techniques. The brilliant thing about shipping container residences is their versatility: you can use one as a guest house, an Airbnb, your home, a granny flat for a relative, or even as a study or studio space. 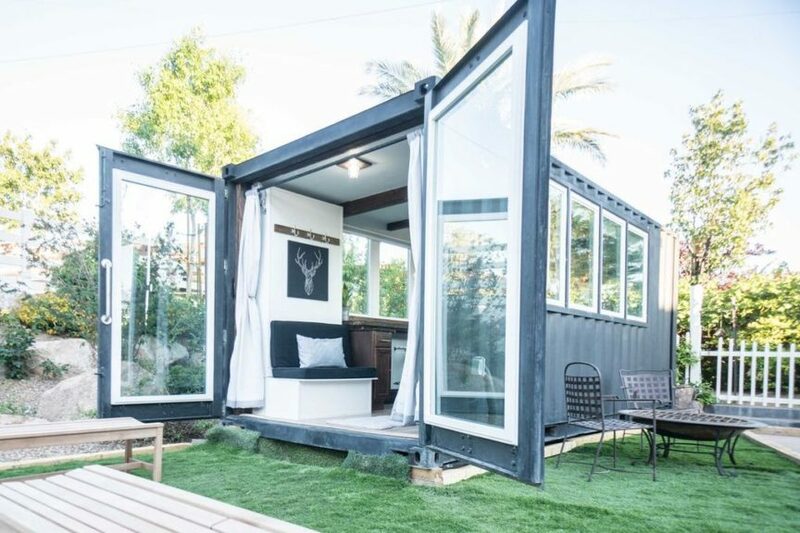 As we mentioned earlier, Alternative Living Spaces has taking shipping container builds to a truly luxurious level by leveraging premium materials and maximizing every square foot of space. The home below, currently serving as a full time residence in Sacramento, show just how much space and natural light can be created with a bit of creativity. Eye catching artwork creatively hide a Murphy bed from guests and exposed wooden beams ensure the space has a homey feel. Surprisingly, despite there small footprint all of Alternative Living Spaces units have ample storage and utilize some very clever tricks to get the maximum use out every space. The house is only 165 square feet, but doesn’t scrimp on counter space in the kitchen. Each completely customization tiny home starts at around $47,000 which includes the cost of the shipping container. The standard layouts for these units provide owners with a bathroom + shower, a kitchen, some sort of work and dining space, and a living room that converts into a sleeping area. Above you can see another unit that currently provides it’s owner with supplementary income through Airbnb. As you can see it shares the same footprint but provides a very different layout. 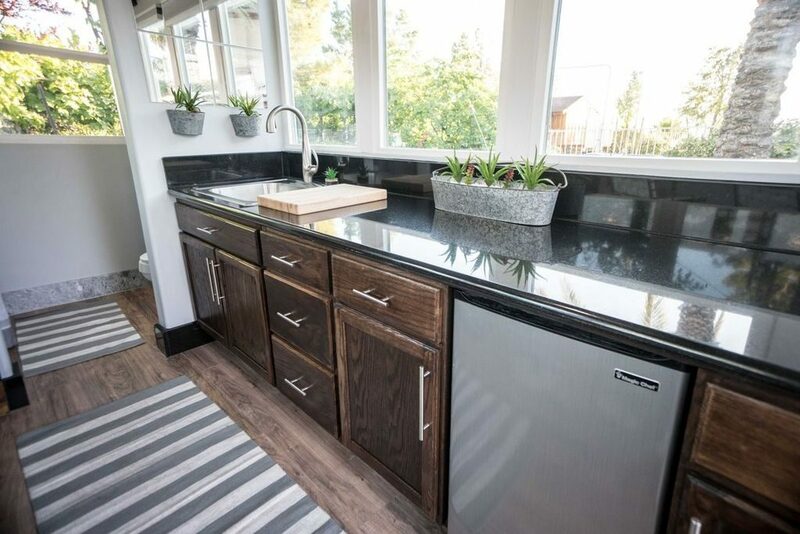 The kitchen comes fully loaded with micro size appliances and includes a fridge, an induction stove top, a microwave, and plenty of storage space. 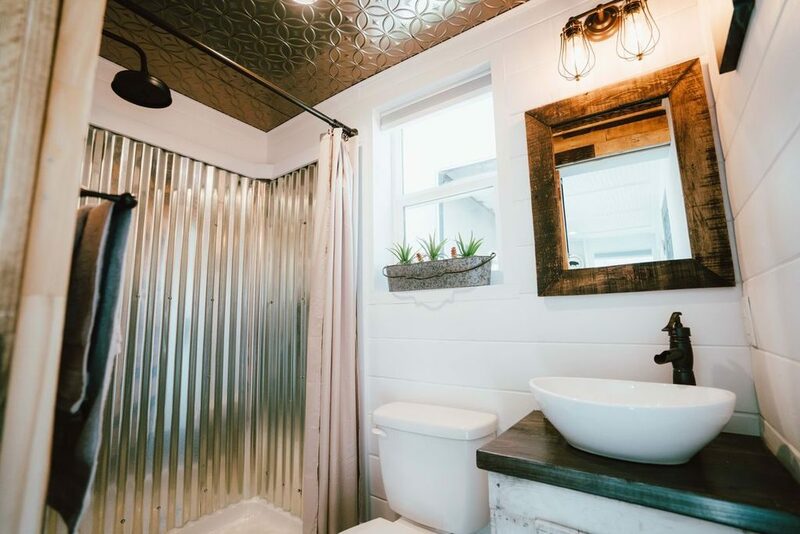 The space also uses a bright teal blue on the cabinets add a pop of color and really brighten up the space and the bathroom uses corrugated iron for an interesting industrial look. What do you think about these shipping container homes? Could you scale down to square feet? 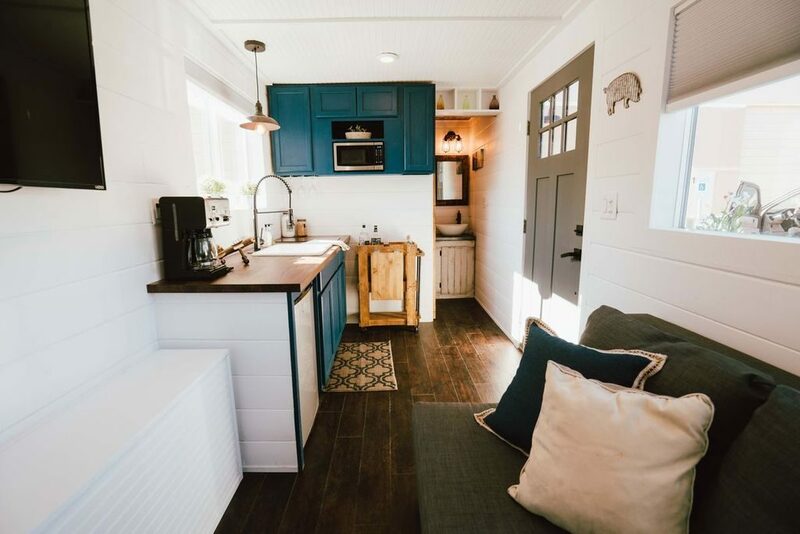 Let us know in the comments below and if you want even more tiny home news check out our previous post 8 Tiny Home Tips from Industry Experts!